Travel credit cards are a no-brainer the first year. Who could resist the swan song of a sign-up bonus that is worth $500 or more? But what happens after the first year and the annual fee needs to be paid? There are a lot of considerations that go into deciding whether or not you want to pay that annual fee. Here's some tips to weigh the benefits–or not–in renewing your travel credit card. One of my favorite reasons to get a new credit card is that the sign-up bonuses are so lucrative. Banks are willing to give you a big bonus to attract your business and keep you as a customer. These offers can pay huge dividends for people who are willing and able to make the switch. Keep in mind, you need to have excellent credit in order to qualify for the best credit card sign-up bonuses. I love using credit card sign-up bonuses for free travel. Most of the credit cards that I apply for give enough airline miles, hotel points, or cash back to pay for a big chunk of the cost of the vacation. For example, the Capital One Venture Card is currently offering a 75,000 point bonus when you meet the minimum spend requirements. That's $750 in travel! Not too bad, right? Here are some tips to make sure you hit the minimum spend requirements on a travel credit card. Travel credit cards are great, but it can't be all take and no give. To pay for the sign-up bonuses and excellent benefits, banks charge annual fees for most travel credit cards. Many travel credit cards have annual fees or $99 or less. However, multiple premium credit cards have launched in the last couple of years that have annual fees ranging from $350 to $550. That is a lot of money! Click here to compare travel rewards credit cards. Because the credit card marketplace is so competitive, many travel credit cards are willing to waive the first year's annual fee. They want you to sign up for the credit card, experience the benefits, then keep the credit card because of the perks. When comparing various credit card offers, focus first on the travel credit cards that are willing to waive the annual fee. This will save you money and help you get introduced to the world of travel rewards. As I talk to friends and family, many of them say that they avoid credit cards with annual fees. That sounds like the right strategy. However, when you do that, you are totally missing out on excellent benefits that can enhance your travel experience. As much as I hate paying annual fees, certain credit cards are worth the cost. They offer perks that I use year-in and year-out that save me time and money. Although I avoid checking bags as much as possible, sometimes you need to do it. I like co-branded airline credit cards because they will waive the checked bag fee whenever you travel domestically and buy your ticket with the card. Airlines have recently raised the checked bag fee from $25 to $30 (or more). That is per bag and each way that you fly. If you're traveling as a family, the checked bag fees could end up being more than the cost of one ticket! Depending on which airline credit card you have, you can check one bag for free for up to eight people traveling with you. That is a huge savings opportunity. A family of four can easily recoup the cost of the annual fee in one round-trip flight. Here are some cards that offer a free checked bag. The Citi AAdvantage Platinum Select waives the checked bag fee on one bag each for you and up to four companions on the same domestic itinerary. At $30 bucks a pop you will save more than then $95 annual fee with just two round-trip tickets. The American Express Gold Delta SkyMiles Credit Card provides a free checked bag for you and up to eight companions on the same domestic itinerary. Delta also charges $30 per checked bag, so you can easily save more than the $95 annual fee with a few checked bags. The Barclays JetBlue Plus offers a free checked bag for you and up to three companions on the same domestic itinerary. Jet Blue charges $25 per checked bag, so it will also take two round-trip tickets to save more than your annual fee. The Chase United Explorer card offers you and one companion a free checked bag on the same domestic itinerary. Like the others, the checked bag fee is $30, so it will only take two round-trip tickets to make up for the $95 annual fee. Getting onto an airplane is almost as insane as a Black Friday sale. Everyone's pushing and shoving for their spot in line. With the airline's co-branded credit card, you'll avoid a lot of that stress and board before the majority of people. This will allow you ample time to get to your seat and grab that coveted overhead bin space. Here's a little secret–on most airlines you can buy a Basic Economy ticket, then use your airline credit card to check a bag for free, have priority boarding, and be allowed a free carry-on bag. Hotel credit cards are some of my favorites to keep year after year. The main reason is the annual free hotel night. Ok, it's technically not free since you're paying an annual fee. But, the hotels that I redeem the annual free night at are worth at least 2x what I pay in annual fees. From a different angle, I'm pre-paying for a future hotel stay and saving at least 50%. If you're going to travel anyway, why wouldn't you want to save more than half of the cost of your room? When selecting your hotel credit card, pay attention to the fine print. Some banks are starting to require a certain level of spending in order to earn the free night. And other cards offer the opportunity to earn more than one free night based on how much you use the credit card. Click here to compare hotel credit cards. With every hotel travel credit card, cardholders receive a boost in their loyalty status. The awesome thing is that you can leapfrog everyone else who is paying for their rooms before you've paid for a single night at that hotel chain. Most hotel credit cards will give you mid-tier status as soon as your credit card is approved and your hotel loyalty account is linked. Some hotel credit cards, like the on, will reward you with even higher status if you spend a certain amount on your credit card each year. I hate waiting in lines. That's why Global Entry and TSA PreCheck are a wonderful investment if you fly. Instead of waiting in long lines, taking off your shoes, and everything else, you get to skip that process and head to special lines that make traveling easier. Most premium travel credit cards will reimburse you up to $100 for the application fee for Global Entry or TSA PreCheck. If more than one of your travel credit cards offers this benefit, use the credit to sign-up your spouse, children, or friends. When flying, few benefits are as nice as having access to airport lounges. Instead of waiting in the terminal like everyone else, head to the lounge for free drinks, snacks, wifi, and more. Some lounges offer full meals, showers, and massages. All complimentary. Ok, so you've had your travel credit card for a year and the annual fee is coming due. 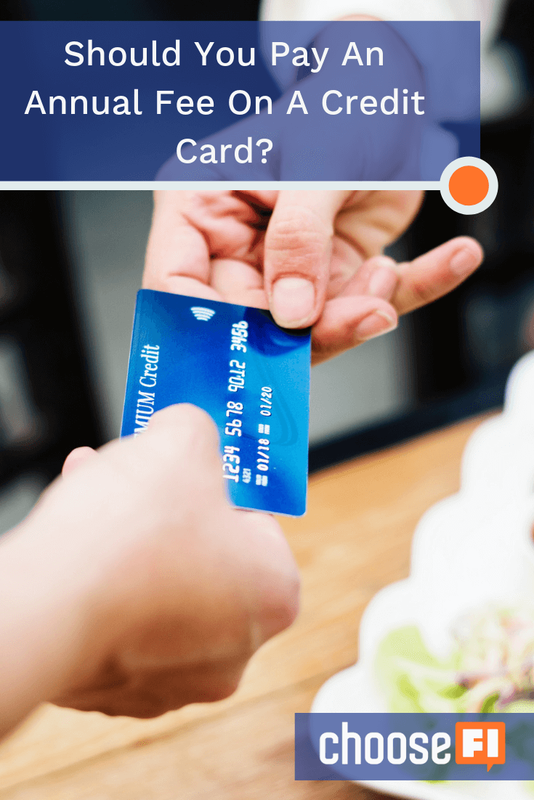 Should you keep the card or cancel it? Here's what you should do. Look up the annual fee and compare it against the perks that you are using. It's pretty simple math. For airline credit cards, do you check bags and fly a couple of times a year? If so, keeping the credit card for the free bags is a no-brainer. With hotel credit cards, are you using the annual free night? Yes, keep the credit card. No? You're throwing away a great opportunity to travel at a huge discount. Even if you use the free night for a local staycation, it might be worth keeping the hotel credit card. Line up the pros and cons of having the credit card. The pros are all of the benefits. The biggest con is the annual fee. Have an honest conversation with yourself. No matter how excellent the benefits are if you're not using them, it may not make sense to pay the annual fee. Many people don't do this, but it actually works. When the annual fee hits your account, contact customer service and tell them that you're thinking about canceling the travel credit card. Don't tell them that you want to cancel, only that you're thinking about canceling. Having this conversation will put the bank in crisis mode. They want to keep you as a customer. If you've paid your bills on time and have been using the credit card regularly, they don't want to lose you. Ask them what offers they have available. Sometimes the answer is nothing, but that's not the norm. Most of the time, the bank will either waive the fee, give you bonus points, or offer a bonus if you spend a certain amount on the card. Evaluate their offer and do what's right for you. Should You Renew Your Travel Credit Card? You work hard for your money. Don't give it to the bank automatically. I make sure that the banks are working just as hard for my money as I did. Annual fees and benefits change on a regular basis. What was an awesome travel credit card last year, could be a total dud this year. Before you renew your travel credit card evaluate the benefits against the annual fee that the bank is charging. Sometimes the benefits are worth far more, but that's not always the case. Benefits only have value if you are using them. What credit cards do you renew each year? Have you canceled a credit card recently because the benefits weren't worth the cost? Let us know in the comment section below. Travel Rewards Vs Cash Back: How To Choose! Is it just me or did this post miss one of the most important reasons why some people need to keep cards open – because they will lose the points they earned that they haven’t redeemed yet. You’re kind of forced to redeem them within the year before the annual fee, no? Brett, it all depends upon which program you are talking about. Airline miles and hotel points transfer over shortly after the statement closes. Once those points transfer, if you close your credit card, you still get to keep them. You can extend the life of those miles and points by earning through travel, shopping on their portals, or spending with their partners. For bank points (like Chase UR, Amex MR, Citi TY, etc. ), you will lose them if you close your credit card. Most banks give you a window of 60 days to redeem them or transfer to a partner. With Chase and Amex, you can easily combine their points with other cards in those families of points so they won’t expire. 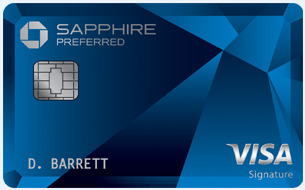 For example, points earned from the Chase Freedom or Chase Ink can be combined with the Chase Sapphire Reserve’s points. You got it! Have fun. Any big travel plans you’re working towards? So you recommend not making the call until AFTER the annual fee hits your account? But if they don’t do anything for you, aren’t you stuck paying the fee that year even if you then decide to go through with cancelling because they aren’t going to give you a break? Actually, the ideal time to call is a couple of months before the annual fee hits. Then you might be able to double-dip on retention offers by calling again when the fee hits your account. When the annual fee is charged, most banks will give you 30 days after the statement closes to cancel or downgrade and get the fee waived.